Melissa Harville-Lebron has become the first Black woman to own a team of Nascar drivers comprised of four Black and two Latino drivers. NASCAR is known to be an all-male (and mostly white) space, but Melissa Harville-Lebron has changed that. 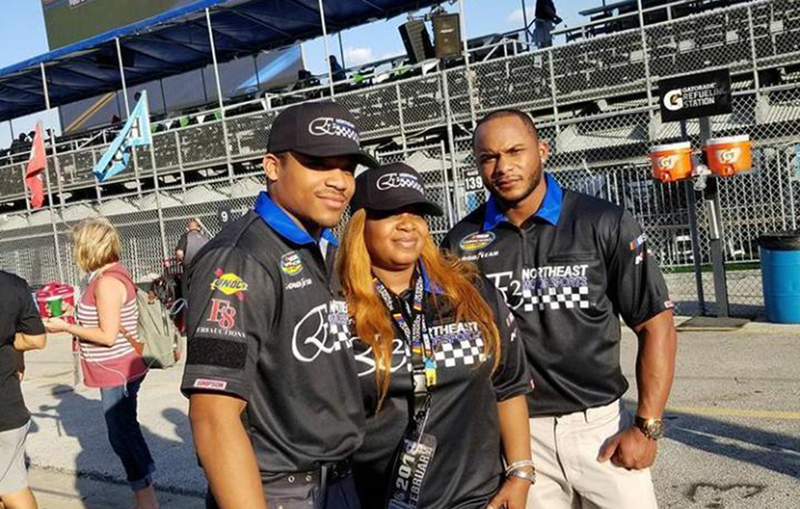 After taking her sons to NASCAR in the hopes of talking them out of becoming NASCAR drivers, she ended up investing in a team of her own (comprised of two Latino and four Black drivers). She created E2 Northeast Motorsports under the umbrella of her existing company, W.M. Stone Enterprises, Inc. In an interview with The Huffington Post, she spoke of her goals. ?To create a billion dollar team! Becoming the most influential woman in motorsports. Open opportunities to other women, lectures of empowerment, give testimonials, pay my blessings forward at every opportunity and write a book,” she said. She continued, ?I want to use this platform I have to re-establish the brilliance of our culture as a woman. I have a personal goal that is small but it will symbolize to me, my success. Create an asthma awareness that focuses on the triggers. I don?t know what the future holds but I am ready for it, Let?s see!? Other than Harville-Lebron, retired basketball player Brad Daugherty is the only other Black owner. Wendell Scott and Darrell Wallace, Jr. are two of the more well-known NASCAR drivers. Harville-Lebron’s move to become an owner is a major breakthrough in a sport that, according to reports, has a history of racial discrimination. An article on ESPN.com states that Terrance Cox III, who founded Diversity Motor Sports Racing to shed light on discriminatory practices by sponsors and team owners, brought a $500 million lawsuit against NASCAR in 2016.